GROUNDHOGS Burrow Geek EmaNation Podcast! Tony (T.S.) 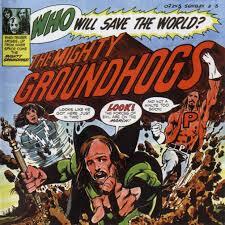 McPhee and The GROUNDHOGS were one of the heaviest blues-based UK bands in their 1970s heyday. They were also the favourite band of host The Rock’N’Roll Nurse in 1975, 40 years ago! 2 hours on a relatively obscure band from the last century may seem excessive, even self-indulgent, but that’s what makes it a perfect geek pastime. Get with the rockin’ boogie vibe, fellow music geeks!